Former General Secretary of the Communist Party of Vietnam, Do Muoi, a key figure in Vietnam's revolutionary struggles and its opening up era, died Monday night. He passed away at 11:12 p.m at the 108 Military Hospital in Hanoi. He died of old age after a period of serious illness despite efforts by doctors and his family. 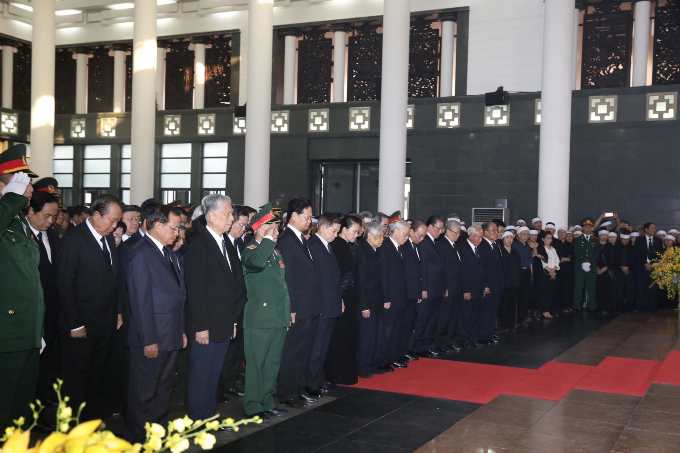 The state funeral for Vietnam's former Party General Secretary received top officials, veterans and residents in Hanoi Saturday. Memorial ceremonies are held at the same time at the Independence Palace in Ho Chi Minh City. A memorial service will be held at 9 a.m. Sunday and Do Muoi will be buried in his hometown in Hanoi's Thanh Tri District at 1 p.m. the same day.